Los Angeles residents have a right to pursue compensation if they are injured in a car accident through little or no fault of their own. At Ellis Injury Law, we represent many different types of personal injuries, but vehicle accidents constitute a large portion of our cases. Car accidents can happen to anyone, changing lives in the blink of an eye. In 2017, there were 260 deaths and over 55,000 injuries from motor vehicle collisions, a trend that has been rising year-over-year. We understand how statistics translate into real world heartache for those involved – time spent in the hospital, multiple surgeries, long recovery times, lost wages, and financial strain. Our skilled team of award-winning car accident lawyers will work tirelessly to secure maximum compensation to cover all these expenses and more. Our track record speaks for itself: We have won over $350 million for our clients, and we win 99% of the cases we take on! CONSULTATIONS ARE ALWAYS FREE AND CONFIDENTIAL, SO CALL TODAY! 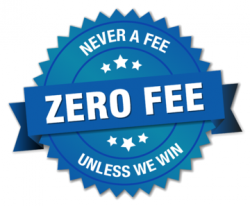 We charge no fees unless we win money for you. After a serious accident, you want to find the best possible representation, so you can receive maximum compensation and put all this behind you. At Ellis Injury Law, we do so much more for you than file the lawsuit paperwork and pay the upfront fees. We like to work with car accident victims from day one, whenever possible. We’ll help you collect evidence from the scene, including photographs, eyewitness statements, and police reports. Before you forget, write down all the details you can – the date, time, place, lane, direction traveled, speed, weather, and where you were headed. We’ll make sure you get to the best hospital or medical center for your injuries. We’ll assemble a team of experts, including crash investigators, medical experts, and insurance adjusters to add credence to your case. You also want to be sure you avoid some of the big mistakes people make following a motor vehicle accident. Never talk to the opposing insurance company without an advocate! You may inadvertently provide incorrect information or get trapped into making a recorded statement that can be used against you in court to invalidate your claim. It’s all too easy to jet away from the scene, without calling the police, exchanging insurance information, or taking pictures. Even if you don’t feel like you’re disabled after the crash, seek immediate medical attention to substantiate your injuries. The symptoms of whiplash, concussions, or minor bone fractures can be subtle at first. Follow the attending physician’s orders and appear at all follow-up appointments. 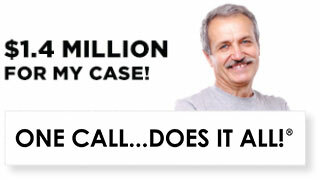 It helps immensely to receive care from a respected doctor who can validate your injury claim. If you are not sure where to go for care, we are happy to advise you, as we have in-depth knowledge of all the best area medical providers. If you do not have medical insurance, we can help you get the top-level care you deserve. You may notice that there is a flood of calls from insurance companies in the days that follow your accident. At face value, it may seem these people genuinely care how you’re doing. However, it’s our experience that the negligent driver’s insurance company wants to settle matters as quickly as possible, for as little as possible. While their initial offer may seem like a good sum of money at first, you have to take into account what future expenses may arise and how much others are getting paid for similar accidents. Why settle for $30,000 if you could receive as much as $3 million? Advocacy from a skilled attorney lets you know what is reasonable to expect and protects your best interests. We’re so confident in our abilities, we never charge clients a fee – unless we win. There are no upfront costs to you whatsoever. We understand that this is a difficult time for your family – not just physically and emotionally, but financially, as well. Our goal is to alleviate that burden for you – not add to it. Our fees are honest, transparent, fair, and agreed upon before we set to work, so there are no surprises. You only pay us the pre-agreed fee out of your settlement or jury award. We have won over $350 million on behalf of personal injury clients, including large, multi-million-dollar settlements and jury awards. It’s a track record we’re proud of, and a distinguishing factor that sets us above the competition. Of course, winning isn’t everything. Choosing an experienced firm with a lot of wins is a good first step in narrowing down the playing field, but ultimately, people choose us based on other factors as well. Experience is worth a lot in this industry. You want a team that is tenacious and aggressive to insist on more when the opposition denies or lowballs the claim. Some law firms like to settle early just to boast a high percentage of “wins” and collect as high a fee for as little expense as possible. This isn’t our first time around the block. We’ve spent more than two decades fighting for car accident victims. We’re established leaders in the field, and we won’t settle for less. The path to compensation through litigation can be long and emotional, so you’ll want a responsive team you feel comfortable working with every step of the way. Favorable customer service is one common thread in all the Ellis Injury Law reviews from past clients. They have praised our “responsiveness,” “compassion,” “kindness,” “helpfulness,” “availability,” and “personal touch” in taking care of their families during the entire process. We know there are some questions and concerns that simply cannot wait – which is why you can call us any time, day or night, holiday or weekend. You will be assigned an experienced attorney, with whom you will develop a relationship and strong communication bond. We keep you in the loop, no matter how complex or time-consuming your case may be. This level of superior attentiveness and dedication is something you won’t find at any other law firm in Los Angeles. When your injuries are permanent, we have a pool of experts we can tap to argue for higher compensation. 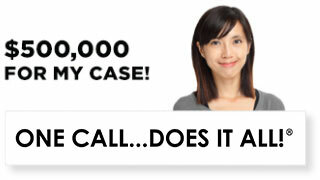 You have nothing to lose and everything to gain from speaking with a car accident lawyer. What does it cost to hire a Car Accident Lawyer in Los Angeles? Contingency fees can range from 33 to 40%, with additional fees for police reports, filing, postage, investigator fees, expert witness fees, medical records fees, trial exhibits, and depositions taking. However, to offset some of these costs, we can sometimes negotiate to have these legal fees included in the final settlement or jury award to maximize what you collect. NO UPFRONT FEES. FREE CONSULTATION. It is important to understand that personal injury attorneys are different than divorce lawyers or business lawyers in that there are NO UPFRONT FEES and 100% FREE CONSULTATIONS. You don’t ever have to worry about whether or not you can afford an attorney, let alone the best attorney. The answer is: EVERYONE can afford our top-level services! Whether you were in a low-speed collision, front impact, rear-ender, or side collision, we will fight tirelessly to demonstrate the other party’s negligence. In some cases, we’ve gone after employers, local municipalities, automobile manufacturers, maintenance personnel, and other third parties who were liable for accident injuries. The State of California allows you to collect some damages, even if the accident WAS partially your fault. For instance, if a judge determines you were 90% responsible for what happened, you can still sue for 10% of the total damages caused by the defendant. Part of our job is to refute claims that you were, in any way, responsible – or at least limit the amount of reduction. What should you have prepared when meeting with a Los Angeles car accident attorney? How fast were you going? Was the defendant speeding? Could there have been a defect in one of the cars? Do you have contact information for the other party? Did the police file a report at the scene? Were there any witnesses? Photographs? What specific injuries did you suffer? Where did you seek treatment? If you don’t know everything, that’s ok. Our investigators can uncover the missing details. It might be best to write down as much as you can recall before you telephone us, so you’ll feel more prepared in discussing your case. Having copies of medical records, police reports, and photographic evidence is not always necessary, but it is very helpful. How hard is to settle a case after an accident? It can be extremely difficult to negotiate a settlement after an automobile accident. The other side will be pushing hard to get the case dismissed and limit liability. The success of your case will depend upon how strong the facts are, the legal argument proving your right to compensation, our ability to demonstrate your damages, and whether or not the other party has sufficient liability insurance. Please act quickly, because California has a deadline for filing a lawsuit – the Statute of Limitations. You have up to two years from the date of the accident to file a personal injury claim. Sometimes the deadline is shorter – six months for claims against the government, and one year for medical malpractice. Other times, the timeframe can be extended – until age 20 (when the victim is a minor), or three years from the realization of harm (when the manifestation of injury comes later). The sooner you contact a lawyer, the easier it will be to collect evidence, track down witnesses, and convince the insurance company to settle. If a car accident flipped your world upside-down, a car accident attorney is a great friend to have at this point in life. At Ellis Law Corporation, we have a reputation of playing fair with the opposition, but pursuing the best possible result through relentless determination. You may not be sure if a lawsuit is the best course of action, but speaking with an experienced lawyer can help you figure out the next steps to take following serious injury to ensure your future options are not hindered by inaction today. While we cannot guarantee specific results, our record of multi-million-dollar settlements speaks for itself. Contact us to find out how we can help you. 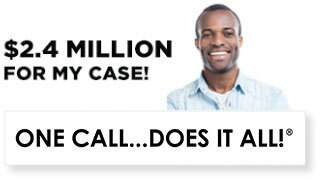 Your initial case review is free of charge, and you owe us no money unless we win your case! [Derek Turbin]: “At Ellis Law what we really specialize in is car accidents. We have hundreds of auto accident cases coming across my desk. Personally first thing, again similar to motorcycle accidents we have to make sure our clients are taken care of promptly and immediately for their injuries. A little bit of a difference with these injuries is sometimes the onset of pain comes out a little bit later, so we have to make sure they’re taken care of immediately but we also have to make sure there’s some consistency in their care and they’re constantly getting checked up on, and evaluated in a consistent fashion to make sure we account for all of their injuries. A lot of times they injure their back, and about a week later their feeling numbness and tingling down their legs. Maybe they injured their neck and onset of headaches come on. We figure out about some type of neurological injury a little bit later in the game. Once we know that they’re taken care of, once we’ve ensured that they’ve gotten further prompt and appropriate treatment, that’s when the fact-finding starts again that’s when we go to the scene. 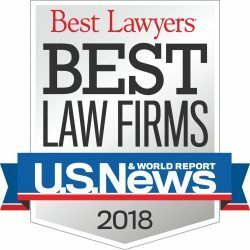 We have won a big case with disputed liability that occurred at an intersection. Our client had the green light and the defendant claimed that they had the green light. In that case we went to the city and got the light facing records. We made sure to look up the lights, to look at the timing, look for all the video cameras around that area. Whether it’s an adjacent store owner or a video camera at the intersection. In that case we’ve turned over all the stones and figure out that really the defendant was lying. She clearly didn’t have the green light, our client had the green to the timing of the light facing record and some of the video from the adjacent property owner. A lot of accidents are going to be disputed liability and it’s our job to figure that out and determine that our client needs to be compensated for their injuries.